Bankruptcy Myths, Misconceptions | Denver, CO Attorney - Jon B. Clarke, P.C. At the Law Office of Jon B. Clarke, P.C., our Denver bankruptcy lawyer advises clients on the truth of filing Chapter 7 and Chapter 11 bankruptcy. Many people avoid achieving debt relief because of fears brought on by bankruptcy myths and misconceptions. At the Law Office of Jon B. Clarke, P.C., we advise clients on the truth of filing Chapter 7 and Chapter 11 bankruptcy. You will receive honest answers to your questions and concerns from a skilled bankruptcy lawyer with more than 35 years of experience. 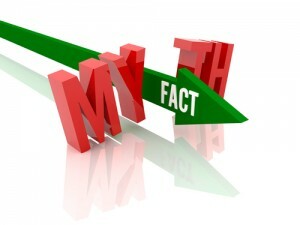 Some of the more common bankruptcy myths are described below. Some people hope to avoid bankruptcy by putting their house up for short sale or seeking a loan modification. Their hope is fueled by lenders’ encouragement toward short sales and the government’s urge to negotiate repayment plans. However, less than 10 percent of these attempts produce favorable results. Many debtors spend precious time attempting to work out an alternative only to file bankruptcy months later. In the past, banks and other lenders would force homeowners out of the house after it has been foreclosed. This often resulted in angry homeowners or vandals trashing the house. Today, lenders will often allow the homeowners to stay in the house as caretakers or tenants. In some cases, the lender may pay borrowers to leave the house without vandalizing it. Perhaps one of the most common bankruptcy myths is that filing bankruptcy, particularly Chapter 7 bankruptcy, will deplete a debtor’s assets. While the purpose of Chapter 7 is to liquidate nonexempt assets, in the vast majority of Chapter 7 cases, the trustee files a no-asset report and receives a portion of the filing fee as compensation. Otherwise, consumers can redeem their nonexempt property by paying the trustee an agreed upon value of their unprotected assets. Jon B. Clarke negotiates this agreed amount with the trustee. Even in cases where nonexempt assets are liquidated and the proceeds are distributed to creditors, debtors can still keep many of their assets, which includes home equity, household contents, jewelry, retirement funds and vehicles. It is a common misconception that filing bankruptcy eliminates your ability to subsequently obtain another loan or mortgage. In fact, many lenders offer higher interest loans within months of the bankruptcy filing. In many cases, borrowers post-discharge and with sufficient income can expect to be approved for a conventional mortgage shortly after filing for bankruptcy, and a government (VA/FHA) mortgage two to three years after discharge. Attorney Clarke has extensive experience representing clients in Chapter 7 and Chapter 11 bankruptcy. To help get started on your case, please fill out our Business or Consumer Debtor Analysis form. For more information, visit our Bankruptcy Information Center and Web Resources. Mr. Clarke recommends that you do as much research into bankruptcy as possible before coming in for an initial office visit.